A prayer for curry & an answer that bleats. | Normal Is Over. A prayer for curry & an answer that bleats. 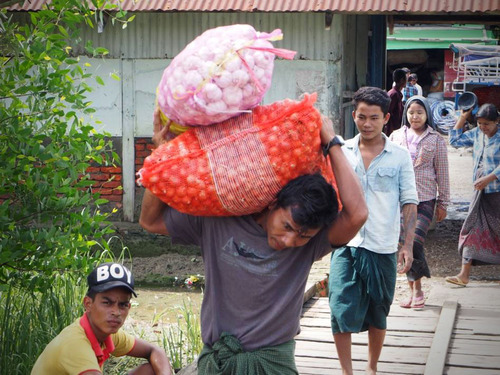 In July, a Partners Relief Team traveled to Sittwe in Rahkine State to deliver rice and essential supplies. While they were there they took the opportunity to interview some of the displaced Rohingya that had been living under immense hardship in rudimentary camps with insufficient food and non-existent medical care for almost 2 years. They told them that at the moment the people are saying they want to have a curry to go with their rice. Because all they have had for so long is rice. “The kids… they pray for curry with their rice”. 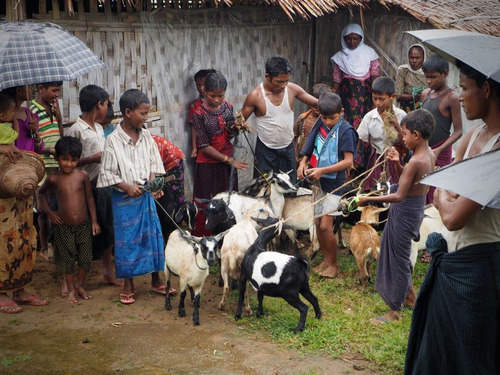 This small victory represents more than anecdotal evidence of the transformation our team is a part of among populations of displaced and oppressed people in West Burma. It is a clear transforming event, pulled off by the synergy of partnership with people all over the world, on behalf of God, who is love, and behind all our team actions to love our neighbor as we love ourselves.